A few weeks ago I was suffering from a very stiff and painful neck. I was trying to figure out what was causing the pain and tension. I examined my pillow, posture, backpack. All the usual suspects. I shifted and adjusted and found nothing to relieve the problem. In fact, it was getting worse. As I was going about my week I mentioned it to my colleagues at the clinic (acupuncturist, massage therapist and my partner in intuitive healing Trisha Michael). I quickly came to the conclusion that this pain in the neck was not from a physical trauma or pattern of behavior (sleeping wrong, lifting, etc). This pain and tightness was emotional/ energetic in nature. In Trisha’s words, I am “creating armor to protect myself.” I am metaphorically sticking my neck out and I am scared. The strange part is that I didn’t feel scared. Sure, I knew I was handling a lot of stuff, stretching myself out of my comfort zone, but I was fine. I was feeling upbeat and positive about all of my decisions. In fact, I intuitively knew I was making good decisions and taking actions that were serving my highest and best good. I was confident not scared. And this is exactly what I told the wise acupuncturist during our appointment. After listening to my speech, Rusty says “ok let’s hold space and invite the fear to make itself known to you.” Such innocent words, such a simple intention and the flood gates were opened. Beginning that afternoon, the worries and fears that I had not let come to my conscious mind flowed forward. Yuck. The realizations that I had that day were not new to me. They were the same demons I have fought most of my life. The ego is very strong sometimes and it really wants to protect us from harm. The ego is not interested in what my intuition has to say, because “where is the proof?” The ego likes to believe in hard facts–tangible things you can see and touch–and I am practicing the art of following my intuition and not my fear. Unfortunately we can’t always (read: never) control our emotions. And sometimes, as this example illustrates, we are not even aware of our emotions. This is when it becomes important to develop a relationship with your body. Learn to read and know it so well that you can understand the subtle messages it is sending you. These messages will only get louder when they are ignored or if we remain unaware. In fact, they will build and build until a serious illness or disease has developed. Once I had acknowledged and started processing my feelings all the pain and stiffness subsided. In less than 48 hours, the pain and tightness that took several months to develop and caused me serious discomfort for weeks, was gone almost completely. This is the power and grace of our body-mind-spirit connection. Our bodies are amazing organisms. Truly, I am astounded by their efficiency and brilliance. The body is always bringing us back to homeostasis or “normal” and this may sound simple but in reality it is unbelievably complex. But that is where our cells want us to hang out and it works very hard to maintain that placement. Therefore, if we are ill or in pain the body is saying something it wants us to understand. Now sometimes, it can be as easy as “hey lay off of the caffeine” or “ow, lighten up on that workout please.” It is just as true that repressed emotions like guilt, fear or grief can create actual physical ailments like painful and tense muscles, indigestion and colds/infections. 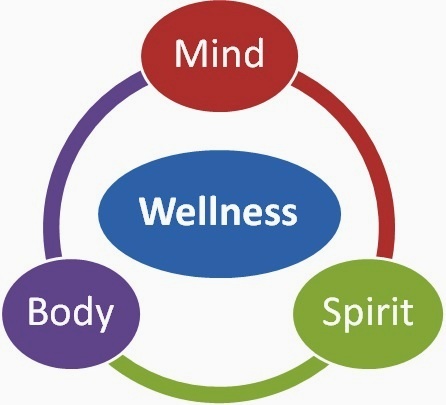 Since our bodies are always working towards homeostasis or optimum health, I think it is important to state that if we are sick or injured it is always a sign that there is something going on emotionally. We have all had seasons where we have gotten every cold that went through the office. And I am betting that if you look back on it, you would remember other things going on in your life too, some unusual amount of stress compared to other years of your life. It is true that our society doesn’t really value self care but in the end it is your life and your body. Investigate the ache or pain or third cold in a month. And begin by taking rest – a day or a weekend to do nothing but sleep, read, watch good movies, go for walks, whatever will bring your MIND to a state of relaxation. A relaxed mind can allow us to become aware of anything that might be create dis-ease in your body. Take some time to reflect on what is going on in your life right this minute. Jot down anything that might be considered a stressor. Work, family responsibilities, school and even friendships–record it all. Now take some time to reflect on any behaviors you have picked up or increased during this period that help you “relax” but you know are not very good for you. These are called numbing behaviors and include things like an extra glass of wine at night, excessive television, comfort eating, etc. Be honest with yourself and note if you are participating in any of these activities. Everything I listed above can lead to poor sleep and lowered immune system which can be lead to injury and illness. Review these lists and see if there is anything you can stop or start doing that would relieve stress from your life right now. Examples would be make time for a 20 minute walk each day, drop the class you are taking until things calm down, look for ways you can task out things at work or home. You get the idea. Pay attention to how you are feeling over the next few weeks. Note what improves and what doesn’t. Try to draw some conclusions for yourself based on how your body reacts and performs. Continue to make changes to your routine if something is stubborn. And, of course, seek doctors and healers should that seem the appropriate course of action. Our health really is the cornerstone of our life and experience. Learning what we need and how we react to certain stimuli or under certain conditions can lead us to experiencing health or well-being on a much deeper level. As the wise Deepak Chopra has said “Your body is a verb (a process) not a noun (a fixed object).” Take charge and responsibility for your own health through this simple mindfulness practice.